Cleary’s study was one of the last to escape the censorship that followed after the military services took absolute control of microwave health research in the early 1970s. One of the ironies of history is that the strongest objection to Cleary’s paper came from Milton Zaret, the ophthalmologist who would later become the fiercest critic of the microwave establishment, alleging that microwaves presented a serious and neglected cataract risk. I first met Cleary at the New York Academy of Sciences in March 1979 where he was giving a talk on the biological effects of microwave radiation. One of his conclusions was that, in most cases, microwave effects are “qualitatively and quantitatively different” from thermal stress. Back then, like today, scientists were loath to offer such an opinion in public, especially one that challenged the view that all effects are thermal. No one wanted to alienate the military services, the principal sources of funding. Cleary was one of the few willing to speak his mind and put science above politics. The following month, we met again at the New York Academy of Medicine, which was hosting its own two-day symposium on the same topic. (Both events were prompted by Paul Brodeur’s 1977 book, The Zapping of America, which detailed the conspiracy to suppress microwave health research.) Back then, I was working for the Natural Resources Defense Council (NRDC) and had been asked to join the committee tasked with planning the Academy of Medicine conference. My invitation was quietly withdrawn after the first planning meeting when the other members realized that I was not suitably contemptuous of Brodeur’s exposé. I did attend the symposium, a relatively small affair, to hear Cleary’s lecture and the other presentations. An NRDC attorney and I were sitting alone at lunch on the first day of the conference. Our outlook was no secret and hardly welcomed, but, Cleary, unfazed, brought his tray over and joined us. We stayed in touch over the next 37 years. Bill Ham, a respected and well-connected professor of biophysics, who had worked on the Manhattan Project during World War II, recruited Cleary to join him at VCU. Together they organized the 1969 microwave symposium, the first major meeting since the end of the Tri-Service research program in 1960. Cleary’s career blossomed at VCU and he was awarded a series of research grants and in due course earned tenure. 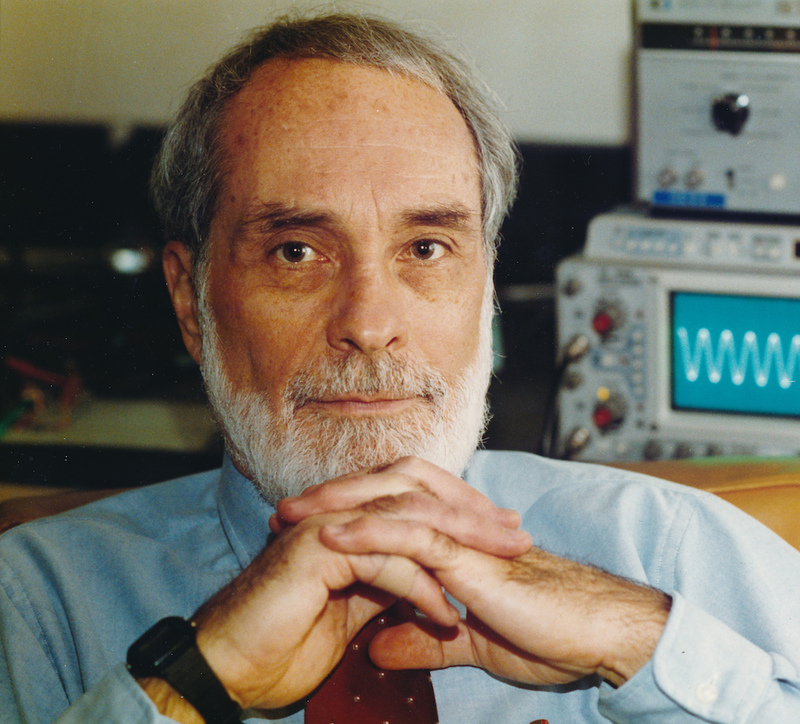 He became a leader in the field; he was one of the founding directors of the Bioelectromagnetics Society. Over the years, he served on a number of committees of the National Academy of Sciences’ National Research Council and in 1979 was selected to serve on ERMAC, as had Ham and Eisenbud before him. The Electromagnetic Radiation Management Advisory Council was an influential government panel that coordinated work on microwaves and other types of non-ionizing radiation. In 1990, Cleary published a paper in Radiation Research that would help shape the last years of his research career. He showed that microwaves modulated the growth of human brain tumor (glioma) cells. The results were provocative. At relatively low intensities (5 W/Kg) the tumor cells proliferated at a greater rate following a single two-hour exposure and they were still growing abnormally five days later. On the other hand, at higher intensities (25 W/Kg) cell growth was attenuated (see our news item, “RF/MW Stimulates & Suppresses Human Brain Tumor Cells”). Three years later this work drew national attention after David Reynard filed a lawsuit claiming that cell phone radiation had caused his wife’s brain tumor. Cleary’s experiment was cited as a possible mechanism, but it also begged the question: Could microwaves promote growth at the lower intensities associated with cell phone transmissions? The cell phone industry lobby group, CTIA, then led by Tom Wheeler, promised research to assuage concerns of tumor risks and delegated the responsibility to George Carlo. (Wheeler is now the chairman of the FCC.) Carlo in turn set up Wireless Technology Research (WTR) to carry out the CTIA mandate —or, as it became clear over time, to pretend to do so all the while funding as little science as possible. To many observers, Cleary’s tumor cell proliferation study was an obvious candidate for follow-up funding, both for Cleary to extend and others to repeat. Carlo strung Cleary along, but he quickly wrote off the body of work on proliferation (Cleary’s as well that of others), as lacking coherence. By the summer of 1995, Cleary was angry and frustrated. “It’s so obvious what is going on,” he told me at the time. “If they cannot explain an effect, they ignore it. They just ignore anything of potential concern.” He added, “It’s been going on for 30 years. It just happens again and again.” Cleary then reeled off all the areas of research that Carlo’s WTR was conveniently ignoring. Cleary asked that Microwave News not publish his comments about Carlo’s modus operandi (we didn’t). He explained that his chief lab assistant, who had been with him for over 20 years, had just found out that his wife was expecting twins and Cleary did not want to say anything on the record that might jeopardize funds that would allow him to keep the assistant on staff. In the end, it didn’t matter. Carlo never gave Cleary a dime for research. Motorola did ask someone to repeat the experiment, but nothing much came of it and the results were never published. To this day, the Cleary results stand untested. Cleary retired from VCU in 2002. He walked away from microwave research and never looked back.